What is the Fund for the NRV? The Fund for the NRV at the Community Foundation of the New River Valley (CFNRV) supports community collaboration to develop lasting solutions to our region’s most pressing needs. The CFNRV has the privilege of seeing needs across the region and the variety of ways that organizations address those needs. We often see opportunities for collaboration, knowing that applicants could learn from one another and serve more people if they worked together toward a common goal. The Fund allows the CFNRV to incentivize collaboration and invest in regional projects that will be of lasting benefit to NRV residents. It combines the CFNRV’s capacity building and convening functions with our grant-making to maximize the impact of our charitable dollars. Since launching the Fund in late 2014, the CFNRV has raised nearly $700,000. Projects affiliated with the Fund’s four initiatives have brought an additional $10 million in public and private investment to the region. The Fund for the NRV provides collaborative planning funds and implementation funds for each initiative. 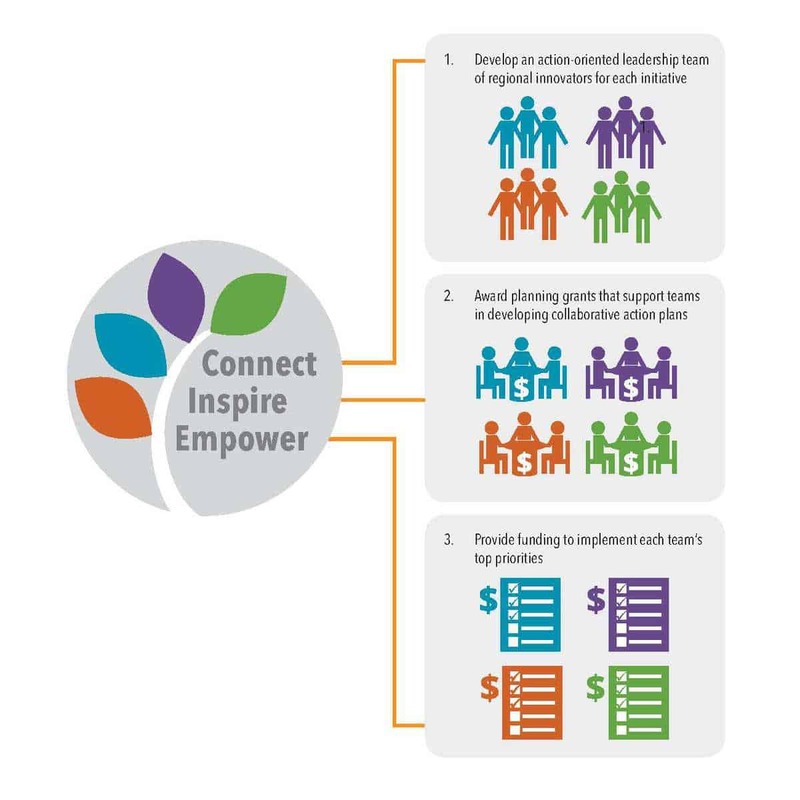 The collaborative planning process includes CFNRV staff facilitation, support for leadership teams spearheading each initiative, community-wide workshops and the development of an action plan in each initiative area. In the implementation phase, CFNRV dollars are leveraged with other sources to implement items in the action plan and build endowment support. Support the Fund for the NRV now or contact the CFNRV at 540-381-8999 to learn more about these initiatives and how you can help.